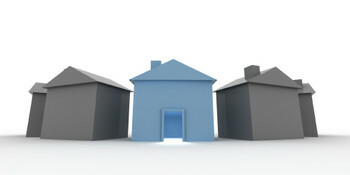 Are you an Ottawa home buyer who is currently trying to navigate the local housing market to find your next dream home? If so, then you’re sure to find today’s real estate blog helpful! Today, we’re going to share with you 8 tips on how to effectively navigate the local housing market! Get Pre-Approved for Your Home Loan. This is different than getting pre-qualified. A pre-approval for a loan tells home sellers that you’re a serious candidate for purchasing their home, and they’ll likely be more eager to work with you. Plus, it’s one less step you have to take before you can buy the home of your dreams. But make sure you do your research: Learn about junk fees, processing fees or points and make sure there are no hidden costs associated with the loan. Get a survey done on the property you want. This way you know exactly what you’re purchasing and you can avoid any border disputes with the neighbors. Plus, your property tax will be based on how much land you have so it’s good to have an accurate map drawn. Don’t stress yourself out waiting for the perfect time to enter the market. It’s impossible to determine when is the absolute best time to buy a home. The best thing you can do is look at recent market trends and if they seem favorable to your needs, take a leap of faith and enter the market with the help of a qualified real estate agent. Understand that bigger might not always be better. After all, the larger your home, the smaller audience of qualified and interested buyers down the road when it comes time to sell. Remember to buy a home that fits your needs and wants instead of just basing it on the biggest house in the neighborhood. Beware of Sleeper Costs. This is the term used for the difference between renting and home ownership. A lot of people will only focus on their mortgage payments but residents also need to be aware of other expenses associated with owning a home, including property taxes, utilities and HOA dues. Remember that you’ll also need to be prepared to pay for repairs, maintenance and possible property tax increases. Make sure your budget reflects these hidden costs. Understand that buying a home is a commitment and shouldn’t be decided by emotions alone. In other words, balance your emotions with your intellect and instincts. We understand that buying a home is an emotional experience but it’s also a major investment that needs careful thought. Move forward accordingly. Get a home inspection. You want to make sure you know exactly what you’re buying before you sign on the dotted line. Thus, get a home inspection so that you know of any possible issues the home might have or anything else that you should be aware of as a buyer. It’s definitely better to know now than later. Visit the Neighborhood at Various Times of Day. Drop by in the morning, drop by at night. Make sure you like the neighborhood at all times of day and that you feel comfortable there. Also, consider driving your normal commute from the home you want to buy so you get a feel for what that will be like. It’s important to fully vet what it’s going to be like to live in the house throughout the day and year. Your Number 1 Ottawa Real Estate Experts! Contact us for more valuable and straight-forward home buying tips. We are dedicated to giving you all the resources and facts you need to make educated decisions as home buyers on the housing market in Ottawa!